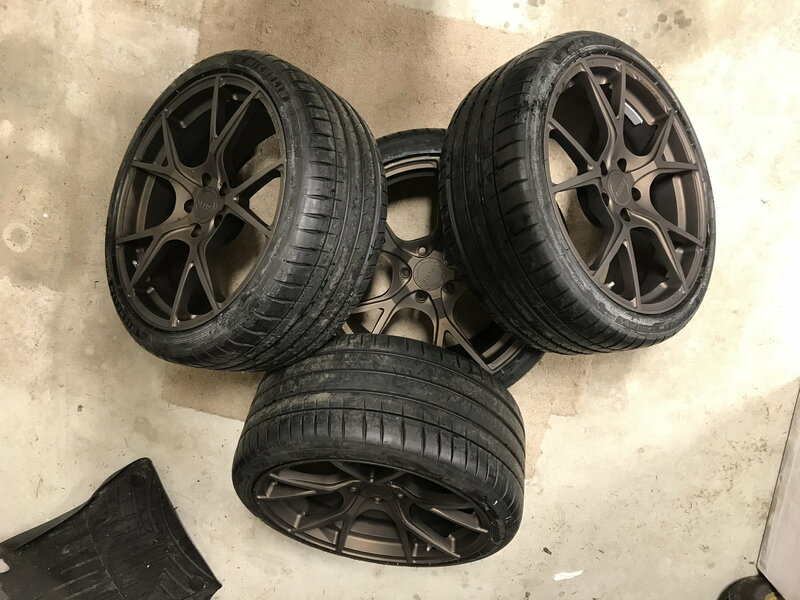 Set of four (4) forged 19" Velos S3 1-piece wheels. Color is "Death Bronze" Setup for W204 C63 fitment. May fit others, fitment information below. Come with TPMS and a set of black Mercedes lugs with wheel locks and correct lug taper for the wheels. 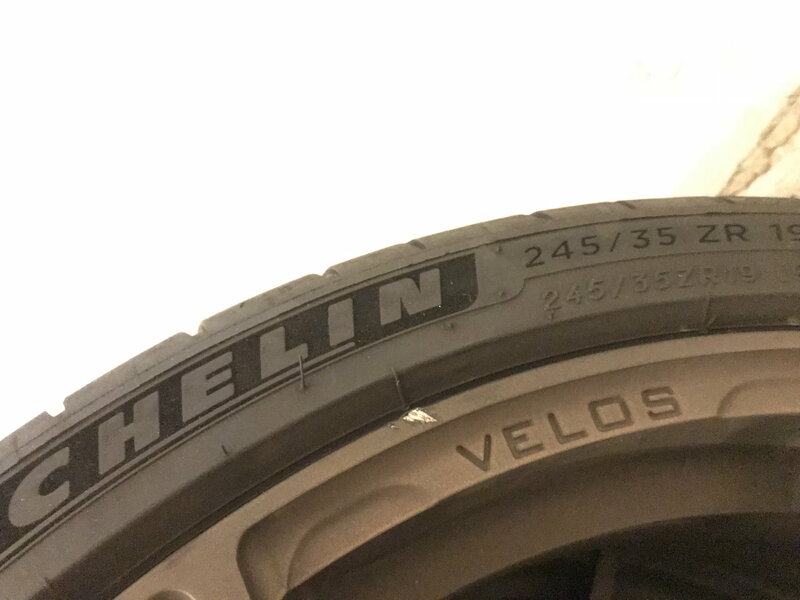 Tires are Michelin Pilot Sport 4S, only used for one summer season. Two wheels have small blemishes. One from an unfortunate valet incident. 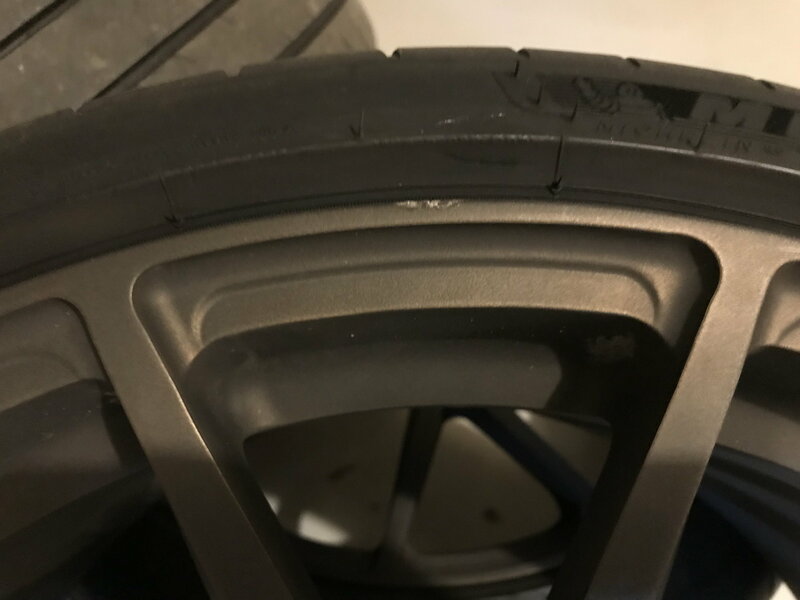 The other from a rock making its way through the rim protector in the sidewall. 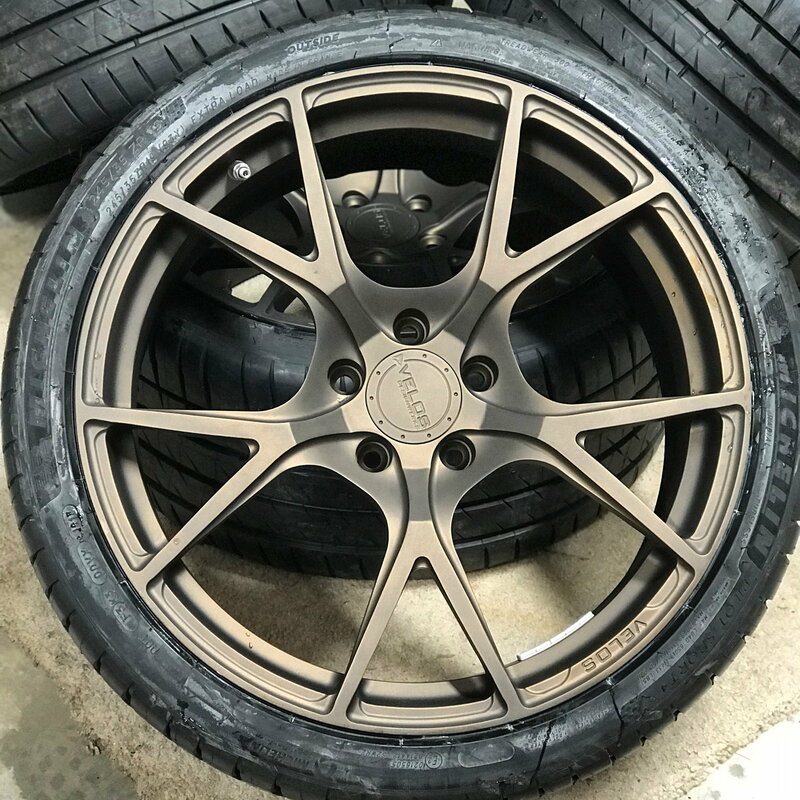 These wheels retail for $1600/ea and have $1200 in custom finish. You can have them, with tires for less than half of that. Will deliver up to 250 miles. They are in excellent shape considering our roads!